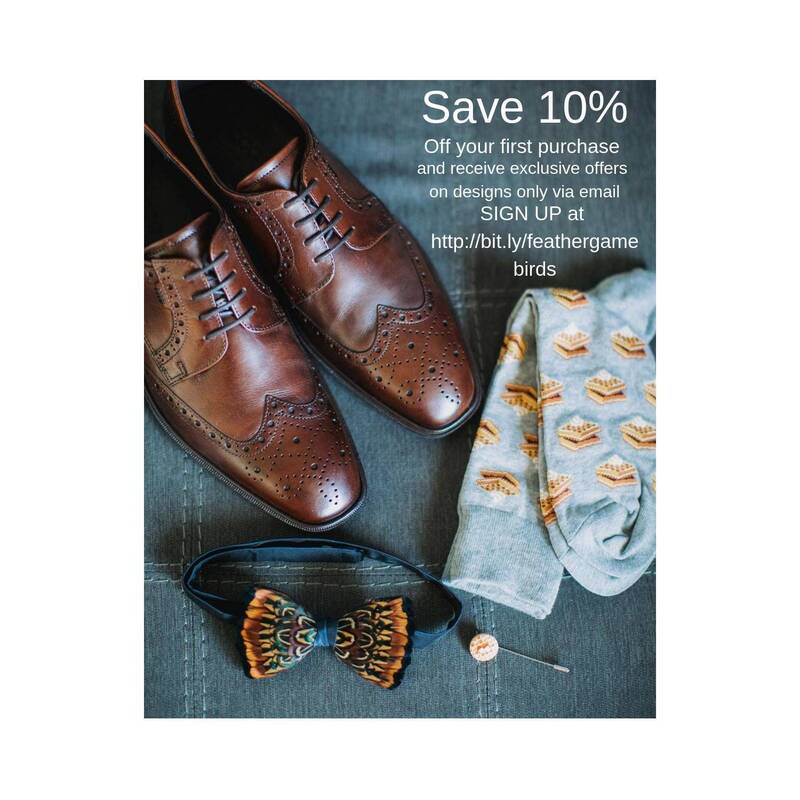 WIGEON Duck Feather Bow Tie. 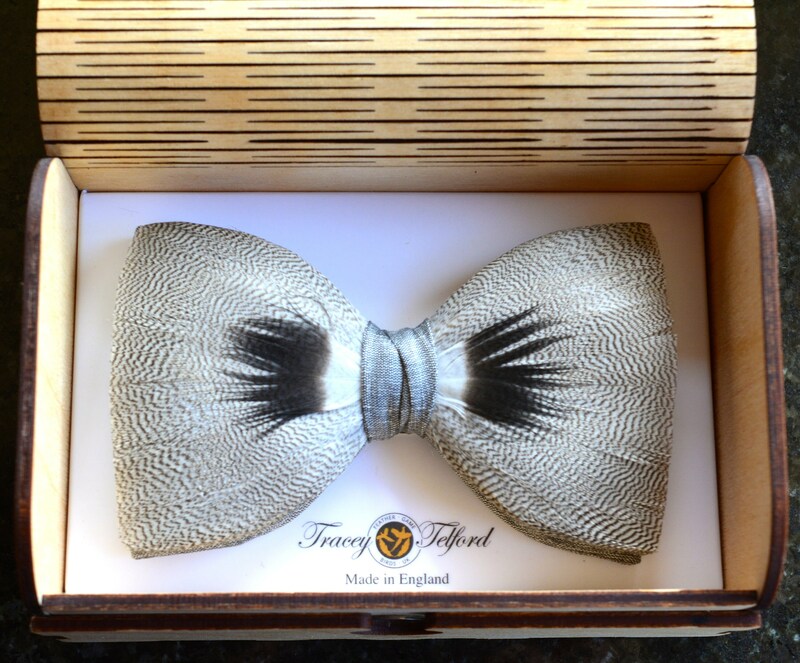 With an almost optical illusion like appearance, the black and grey of the Wigeon Feather Bow Tie, designed exclusively by Plumassier artist Tracey Telford, conveys a timeless sophistication that will always deliver a lasting impression. 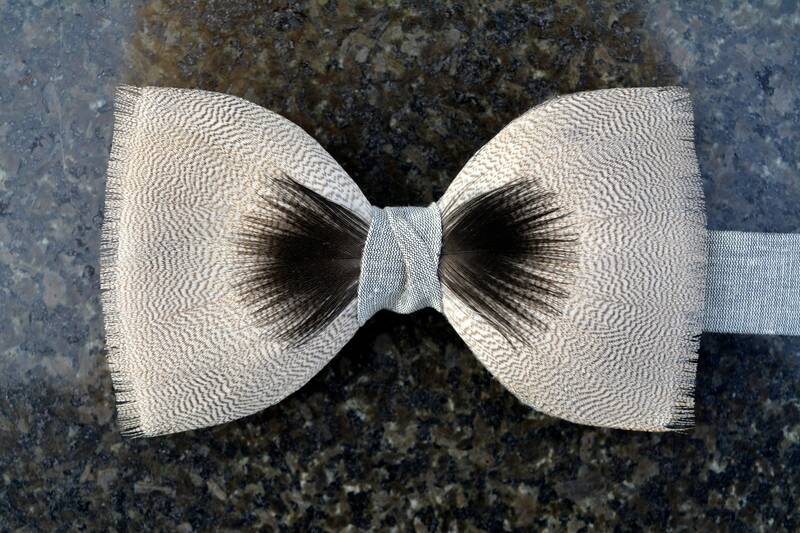 It’s black and white fine striped genuine duck feathers are individually hand placed with precision, and so appear to the eye as a gentle grey. 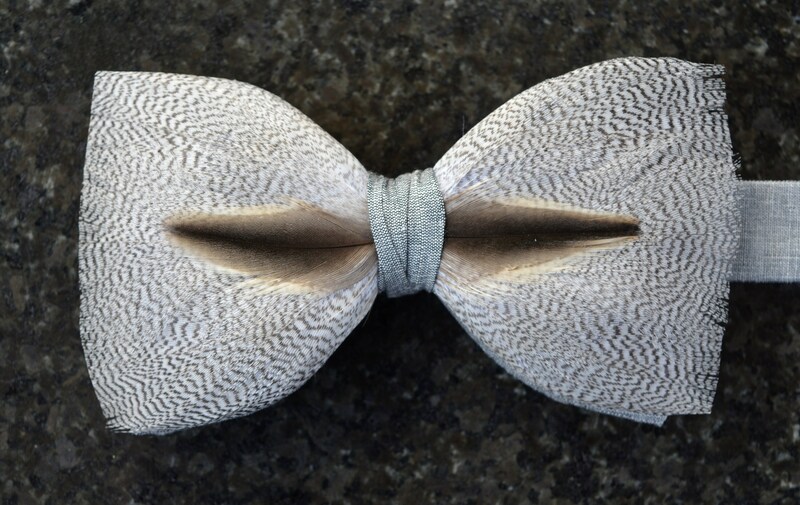 Set on a quality 100% silver silk double bow tie, the Wigeon conveys a quiet but confident message of prosperity, abundance, constance and devotion. Amazing customer service. We ordered this for my fiancé to wear at our wedding and it is exactly what we wanted.